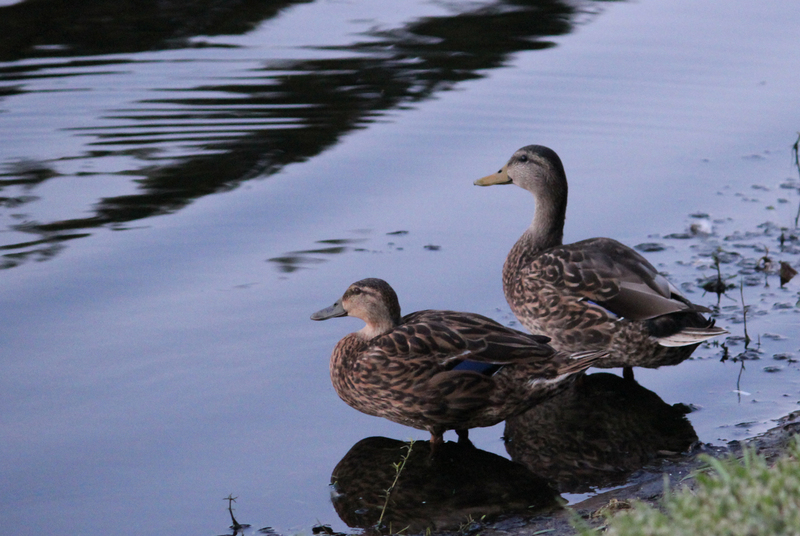 Oviedo, FL: Almost every evening, now that it’s not 1000 degrees out, I walk down the little duck pond in my neighborhood. It’s adjacent to a playground and park and hugs the backyards a few houses. In the center of the pond is a fountain, that sometimes works. Next to that a cluster of trees rises from the water. Aside from ducks, the little body of water also plays host to loons, ibis and the occasional stork. On the far edge of the pond the ducks congregate. They waddle in lines from the shoreline, disappearing behind a fence, for just a moment then travel back to the water again. Always in a line. Then one by one they hop into the water. This is their job. And they take it very seriously.